Dog grooming plays a significant role in keeping your pet looking and feeling great. No dog owner likes their pet to have nails longer than necessary or to be surrounded by piles of fur. Besides that, grooming offers an opportunity to identify any problems like skin irritations, fleas, ticks, unusual lumps, or hernias in order to keep your dog as healthy as can be. To groom your dog properly, you will need a variety of tools. Consider purchasing items like shampoo, conditioner, detangle spray, slicker brush, comb, clippers, scissors/shears, and treats for your dog’s grooming needs. Start by giving your dog a thorough bath, brushing through your dog’s coat to remove hair and tangles. Skipping this step can complicate a haircut, turning it into a complicated, labor-intensive process. Once your dog is dry, you’ll need to brush him again to remove tangled bits of old hair that you have missed during the bath. For an even haircut, go for clippers even though the noise could bother some pets. Scissors are good for longer haircuts and getting spots like the paws and face. You also need to have lots of patience. Trimming your dog’s coat may take some time depending on your dog’s breed and size. Give him some treats and take a quick break with a toy if your dog starts to squirm or seems stressed. It’s often recommended to start with small cuts instead of cutting off inches of hair, especially if you’re not experienced in dog grooming. With demanding schedules keeping us on the go, it’s easy to focus on other commitments. 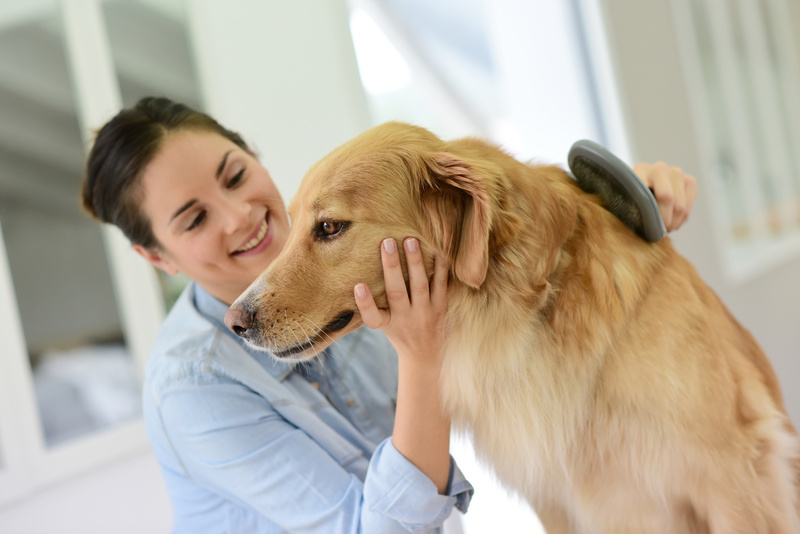 Whether you’re grooming your pets on your own or taking them to professional local dog groomers, it’s important to take some time to learn about the best ways to take care of your dog’s grooming needs. Contact Woofs and Wags, to learn more grooming tips or to schedule professional pet styling today.